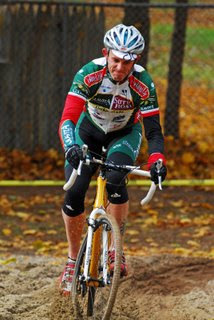 Saw this on SpectaSport website: pretty cool before and after photos from a cyclocross race. The Lemond Poprad has only 5 hours left and its at $1055. My guess of $1103 might not be too far off. "This is my size 60cm 17.6lb Redline Conquest Pro. The frame and fork are not super light but with a full dose of Dura Ace and Zipp 303 tubulars, it still ends up pretty light. I tried to like Eggbeater pedals because they are so light, but in the end, I switched back to SPD’s. I built it from the ground up with the frame I got from Ross at Sun Country Bikes in TX. It has some touches I really like. Josh sent in photos of his Rocklobster 2 years ago. Now, he's just built it up with new components take a look. "This thing is pretty through the roof. It's the Scandium frame that I've had for the last couple seasons with all Easton's top stuff and shimano. I have the new EC-90 SLX carbon cranks and the lightest carbon tubulars they make so I think the bike is right around 16 lbs. The cranks are really crazy looking. I'll go and weigh this thing on a digital scale later today. On a very primitive hanging scale it looks to be 16 lbs. It's freaky to pick it up. 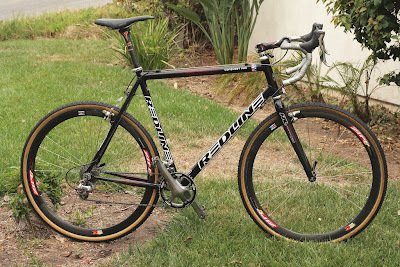 The Litespeed cx bike is back on eBay with one bid at $1000. I love your site. 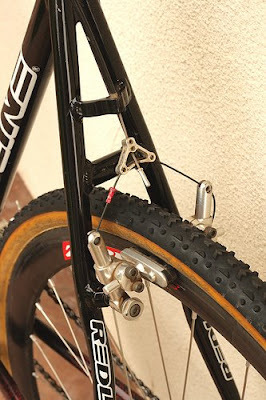 I am going to flag it on my site (www.thebell-lap.com).Attached are some pics of my cross bike and it weights just under 18lbs. 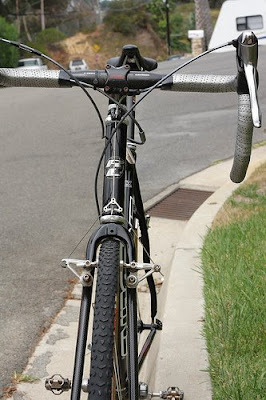 This week its a 2007 Lemond Proprad disc equipped bike. Go check out the auction and come back and make your prediction in the comments below. Brooke was right with the "no sale" guess. No buyer at $1300, maybe we'll see it listed lower in the coming week? Round 2 of Guess the Sell Price is for this really sweet Litespeed. Production frames dont get much nicer than this. 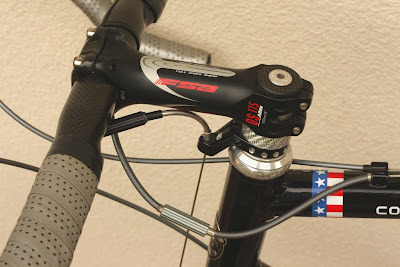 Plus you get an Alpha Q fork and Thomson seatpost too. Check out the link, and then come back with your guess on the final sell price and list it in the comments section. Gary was the big winner with a vote of $889. The frame and fork sold for $1000 a few minutes ago----I was way off! So, I'm starting a new little game on +1lap, called Guess the Sell Price. I'll post a cyclocross item that's listed on eBay and in the comments, you guess what the final selling price will be (not including shipping). This week its a Steelman frame, fork, Chris King Headset and stem. 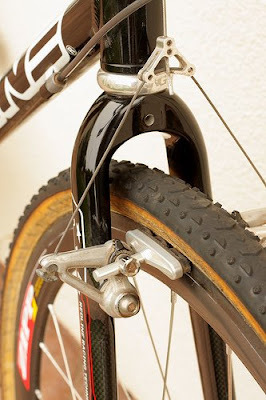 Notice the track dropouts, perfect for a singlespeed or fixed gear.